By 1975, when commercial funk was in full effect, disco was being cloned in the lab, and the seeds of hip-hop were beginning to sprout throughout New York City, Vanguard Records, the vanilla king of music corporations helmed by Iron Whitebread Chefs Seymour and Maynard Solomon, somehow mysteriously permitted one of the tastiest, funkiest progenitors of rap to roll out of the oven: Camille Yarbrough’s Iron Pot Cooker [IPC]. 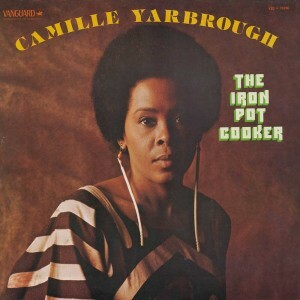 Chicago-native Yarbrough was no stranger to the kitchen of the arts, having provided heat on the dance floor — the modern-dance floor that is — for years under the watch of Katherine Dunham, as well as performing in plays in NYC on Broadway, and even scoring a role in Gordon Park’s Shaft. 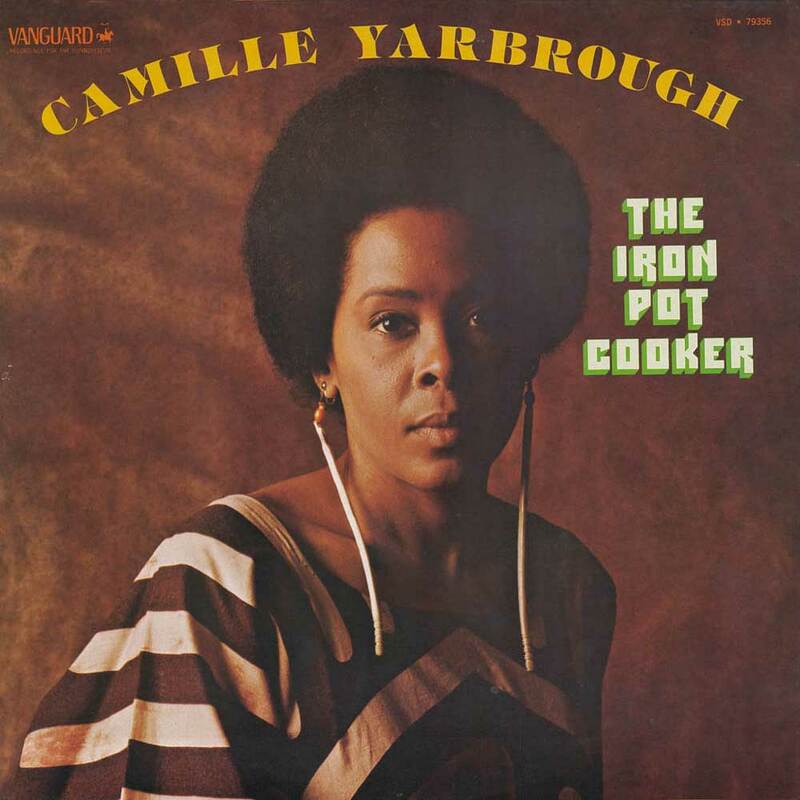 Yarbrough had been shaping onstage much of the electric spoken-word material that would find its way onto IPC for several years, honing her tales of life in the ghetto into one iron-taut, six-course meal. Fellow South Sider Ed Bland – – an industry veteran of many musical cuisines (and who six years earlier had arranged Maya Angelou’s raw spoken-word debut) – – produced the debut full-length, getting the green light after playing “The Revolution Will Not Be Televised” for Maynard. Bland anchors the production with studio vets Cornell Dupree and Jimmy Johnson, Jr., but it’s the muscular clavinet work of sous-chef Linda Twine percolating throughout the LP’s meaty hard-knock-life poetry that separates it from both lighter, Whiter fare and blaxploitation blandness. Holding rank with anything previously served up by Iron Chefs Gil Scott-Heron, the Last Poets, or Eugene McDaniels, Yarbrough proves she can dish with the big boys. Though the album would fail to make a commercial dent during its day, folks with functioning ears will recognize Fatboy Slim’s appropriation of “Take Yo’ Praise” for this platinum-pushing ’98 smash “Praise You,” not to mention Yarbrough’s two-decade jump on the poetry-slam circuit that, as the twentieth century wound down, spread (for better or worse) throughout coffeehouses college campuses, and Hollywood studies. While it’s true that men can indeed cook, Yarbrough proved once again that women often do it better.